Had we not already awarded Steve Wilson the best-ever 50 jersey, then the former 10-year veteran would have been in the running for his first number too. But apart from the run-stuffing over-achiever that was Reuben Davis, the list of talent from the 79 shirt is not that evident. 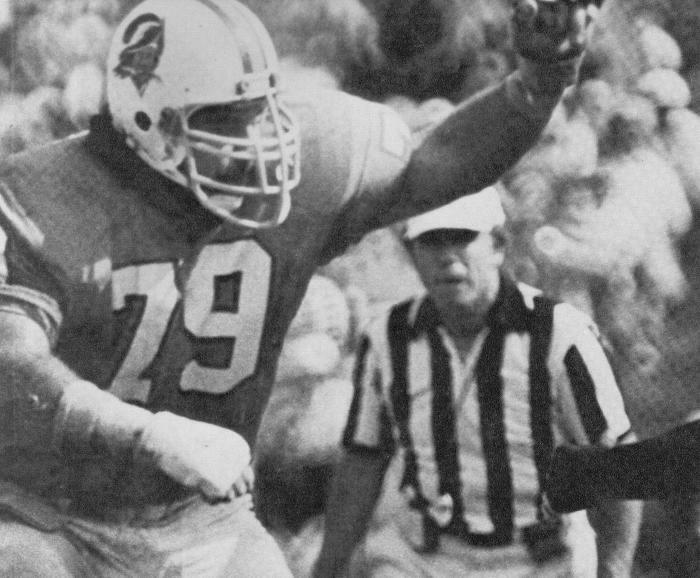 Unless you count playing left tackle like a turnstile, which would give George Hegamin a trip to Canton, Ohio for being one of the best in NFL history. 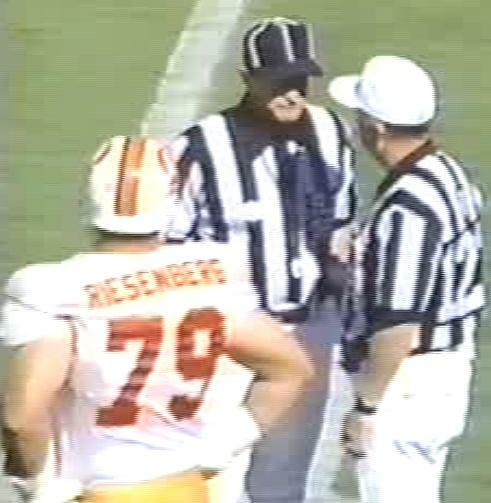 Doug Riesenberg was an NFL veteran who came to Tampa to add experience to a young line under Tony Dungy but got hurt midway through the 1996 season and never played in the NFL again. Which leaves former 10th round pick Reuben Davis as the best-ever. 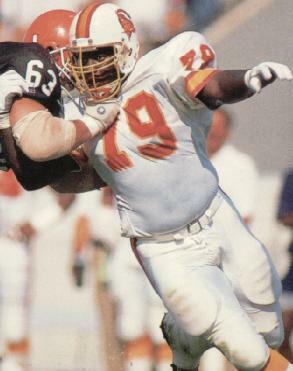 Davis spent four season starting at end in a 3-4 defense and was unceremoniously traded by Sam Wyche simply because he didn't like the look of him in training camp in 1992. 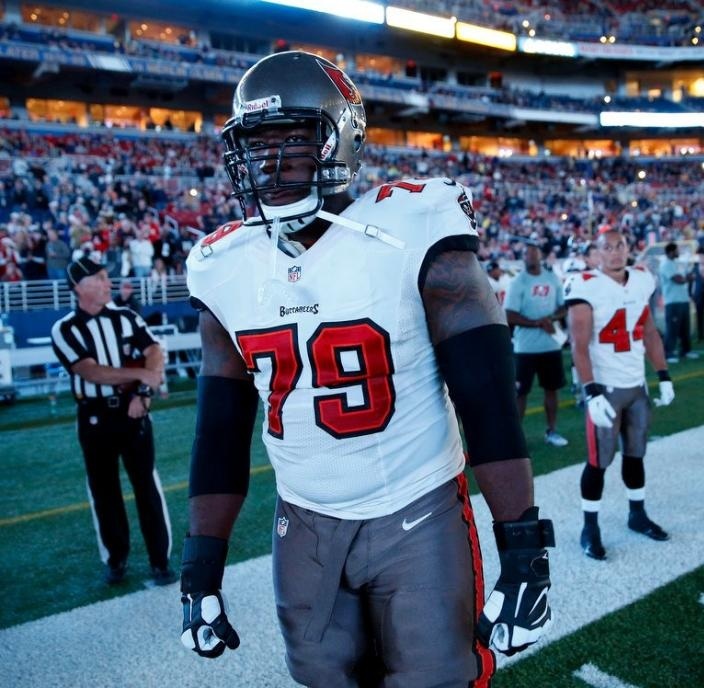 Davis merely spent another five seasons doing his thing elsewhere in the NFL. 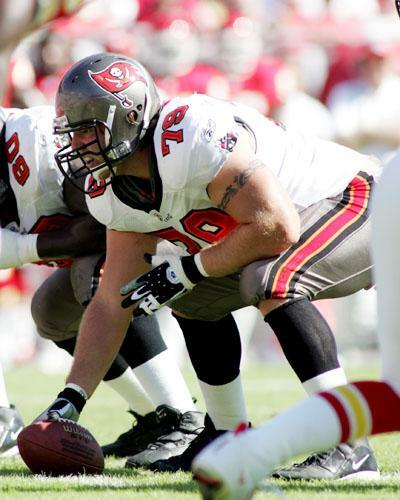 Some of the more recent owners of the jersey have been nothing more than roster back-ups and the less said about Sean Mahan's blocking "ability", the better for all Buccaneer quarterbacks everywhere. Jamon Meredith did do a nice job in 2012 when he stepped in to start at right guard for most of the season following injuries to Davin Joseph and Carl Nicks.